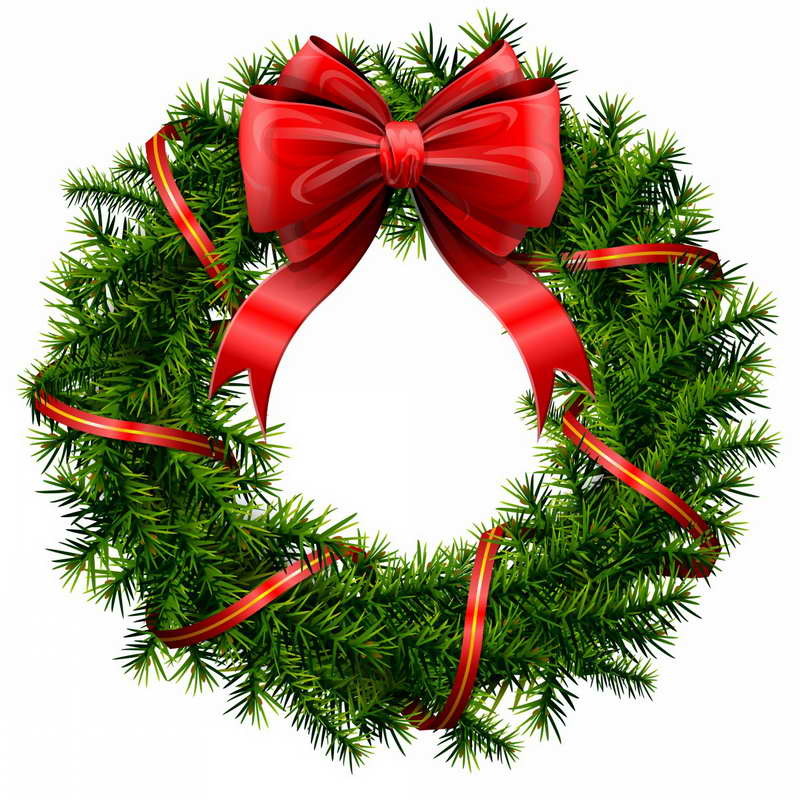 Holiday Greetings from Philip Howard and the entire staff of Village Craftsmen! We wish you the Merriest Christmas filled with love, peace, and good cheer. This is also the season of the Winter Solstice, Hanukkah, and Kwanzaa. May we all live in peace and harmony. As in the past, we will be taking a short break from posting on this blog in order to enjoy time with family and friends over the holiday season. However, we may post now and then on Facebook, so please continue to follow us there. Be sure to check back with us on January 9 for more history, news, and stories about Ocracoke Island. And, of course, we wish all of our readers, family, friends, neighbors, and visitors a Happy New Year with all good things in 2017. 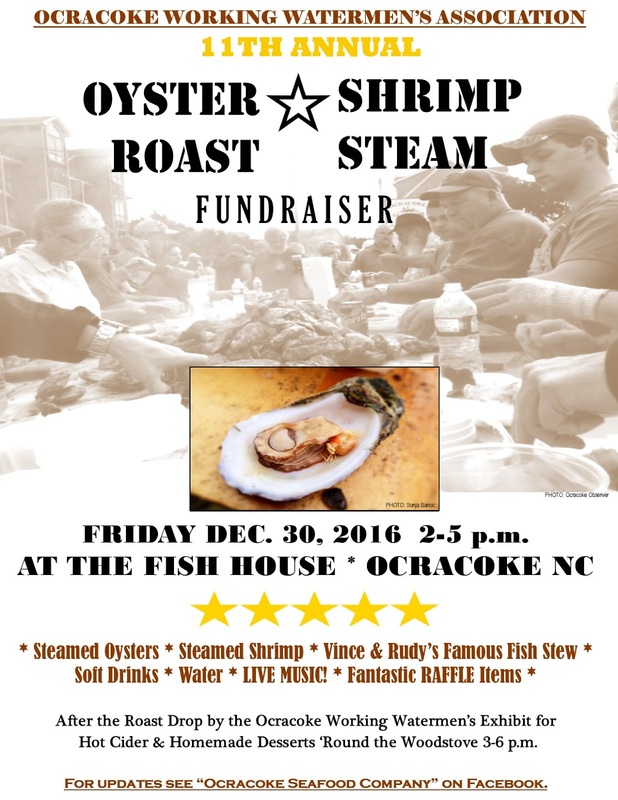 Ocracoke Working Watermen's 11th Annual Oyster Roast & Shrimp Steam Fundraiser is scheduled for Friday, Dec. 30, 2016. If you are on the island for the holidays, be sure to join our Working Watermen for this quintessential coastal event! 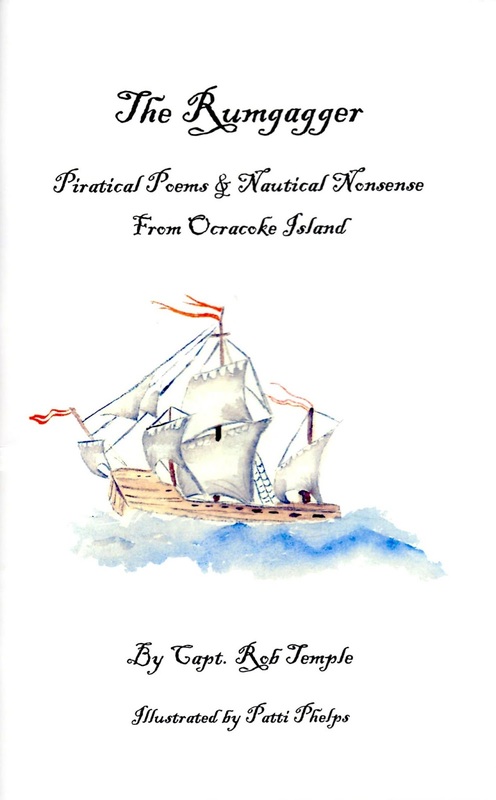 Our current Ocracoke Newsletter is one of Capt. 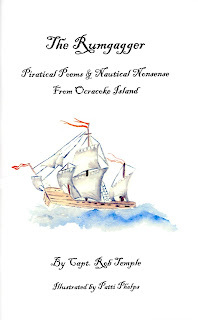 Rob Temple's holiday poems, "A Pirate's Christmas," recently published in a small booklet, The Rumgagger, with illustrations by Patti Phelps. Many of our readers will have heard Capt. Rob recite this poem at the Wednesday evening Ocracoke Opry show at Deepwater Theater. Follow this link to our December Newsletter to read the poem and learn how to purchase one of the Captain's booklets: http://www.villagecraftsmen.com/news122116.htm. Beginning January 1, Amy Howard assumes the position of Village Craftsmen’s new manager. As many of our readers already know, Jude Brown, our current manager, is retiring at the end of the year, and will be moving to Maryland. Amy is a native of Ocracoke Island, and is the daughter of Julie Howard and Philip Howard (owner of Village Craftsmen). Amy graduated from Ocracoke School and Appalachian State University. She has lived in Berlin, Germany, Maryland, Colorado, and California. 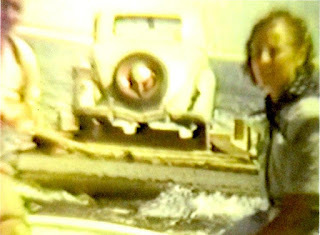 Two decades ago she returned to settle in her island hometown. Amy is married to David Tweedie (“Fiddler Dave” of the Molasses Creek band), and they have one son, Lachlan. Amy comes to us from the Ocracoke Preservation Society, where she has served as their museum manager for the last four years. 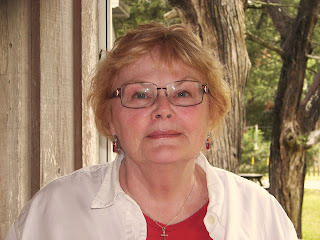 Amy has a wealth of knowledge about Ocracoke history & culture and about her own island ancestry which she traces to William Howard, colonial owner of Ocracoke Island. Amy is committed to continuing Village Craftsmen’s 46-year tradition of offering fine quality American handcrafts to island residents and visitors. Your favorite artists and craftsmen will be represented, as usual, but also look for some exciting new craft items in the coming year. Be sure to visit our Facebook Page and this blog regularly to keep up-to-date with island culture, history, & stories…and to learn about new items, events, and promotions Amy will be working on during the coming year. Amy is creative, knowledgeable, dedicated, and committed to bringing her many talents to Village Craftsmen. We are looking forward to an exciting new year! Although we will be closed from January until mid-March, 2017, be sure to stroll down Howard Street during your next on-season visit to the island, and stop in Village Craftsmen to enjoy our large selection of quality American crafts and to congratulate Amy on her new position. We always look forward to seeing you! Our current Ocracoke Newsletter is a 1938 article about Capt. Gary Bragg, waterfowl hunting, and wooden decoy carving. You can read it here: http://www.villagecraftsmen.com/news112116.htm. Many readers of this blog know Jude Brown. Jude began working at Village Craftsmen in 1993, soon after moving to Ocracoke from the Shenandoah Valley of Virgina. 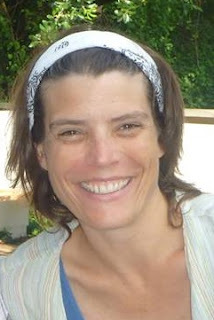 Jude is a native of Lewiston, New York, attended the University of Buffalo and Shenandoah University, has two grown children, and lives on the island with her husband Frank. Frank owned and operated Natural Selections, the clothing store on School Road, for several years. For the past eleven years Jude has served as Village Craftsmen’s manager. If you have not met her, it is probably because she typically works in the back office, choosing and ordering craft items, paying bills, managing employees, and taking care of various other details of the business. As time permits, she works at the counter helping staff wait on customers. Jude will be retiring at the end of this year. She and Frank are planning to move to the Eastern Shore of Maryland. Jude has been a dedicated and resourceful manager, ensuring that Village Craftsmen continues its long-standing mission of representing the best local, regional, and national craftspeople who provide our gallery with excellent American handcrafts, including pottery, glass, wood, and metal items of the finest quality. We will miss Jude as she and Frank set off for new adventures. As the new year begins, Village Craftsmen, a vibrant and robust craft gallery, is poised to offer more of the best of American handcrafts in the coming year. Amy Howard, Ocracoke native and presently Administrator of the Ocracoke Preservation Society’s Museum, will be assuming the position of Manager of Village Craftsmen beginning January 1, 2017. Look for more information about Amy tomorrow. 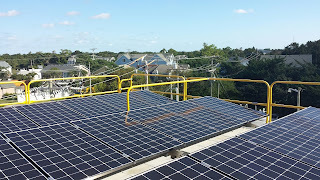 David Mickey has written an excellent article in the Ocracoke Observer about Ocracoke Island's new microgrid. As David explains, the microgrid, a collection of 10 4,000 pound Tesla batteries and several solar panels installed at the Tideland EMC property on Odd Fellows Lane, is the first microgrid laboratory for North Carolina's electric cooperatives. Because coastal communities present very challenging issues for electric providers, the small, isolated village of Ocracoke was chosen for this initial experiment. 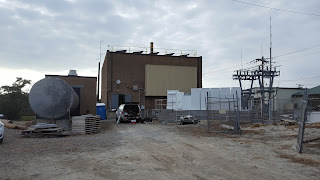 Although the batteries could not support the entire village in the event of a power outage, they "could assist the [island's emergency] generator during start up to overcome the initial demand placed on the generator which often exceeds capacity." In conjunction with the new microgrid, Tideland EMC has made available to residents a number of Ecobee smart thermostats that allow the electric cooperative to manage energy usage during periods of high demand. 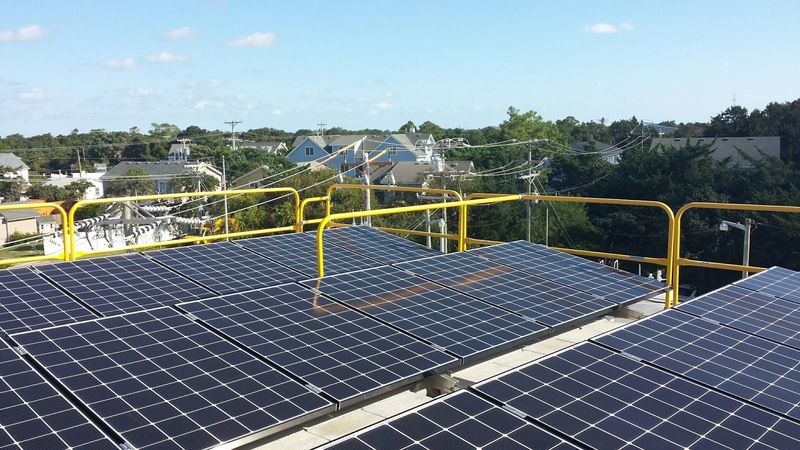 You can read David Mickey's full article here: https://ocracokeobserver.com/2016/12/12/ocracoke-is-first-in-the-state-for-a-microgrid/. At the time of first contact with Europeans, the Algonkians of coastal North Carolina had distinctive burial practices. Ossuaries, or mass graves containing large numbers of individuals, have been excavated on Hatteras Island and at other coastal locations. Prior to burial, the dead were stored in pole and mat structures called charnel houses. To date, no ossuaries or charnel houses have been discovered on Ocracoke Island. John White, artist and mapmaker, who in 1585 sailed with Richard Grenville to present-day North Carolina in an attempt to establish a military colony on Roanoke Island, made this watercolor in 1585/1586. The text above the drawing reads, "The Tombe of their Cherounes or cheife personages, their flesh clene taken of from the bones saue | the skynn and heare of theire heads, wch flesh is dried and enfolded in matts laide at theire | feete. their bones also being made dry, ar couered wth deare skynns not altering | their forme or proportion. 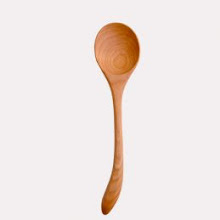 With theire Kywash, which is an | Image of woode keeping the deade. " 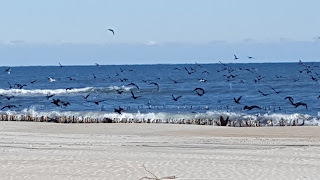 Visitors to Ocracoke often ask what it is like to live on Ocracoke in the off-season. Of course, it is much quieter than in the summer, so many of us have more time to enjoy family, friends, and neighbors. Winter can be an opportunity to try new recipes, pursue a favorite hobby or pastime, learn a new skill, catch up on reading, do some traveling, make needed repairs, or just relax for a time. Ocracoke residents and visitors to the island understand the importance of the North Carolina ferry system. In the past I have written about Frazier Peele's private ferry operation across Hatteras Inlet in the 1950s (to read two of those posts click here and here). Recently I discovered the following photos at the Ocracoke Preservation Society museum. 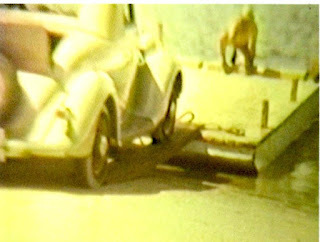 They document visitors bringing their car to Ocracoke in the 1930s. The people in the photos have not been identified, but they surely were resourceful. Not only were there no ferries to Ocracoke in the 1930s, but there were also no paved roads on the island. As you can imagine, only adventurous folks came to Ocracoke back then. 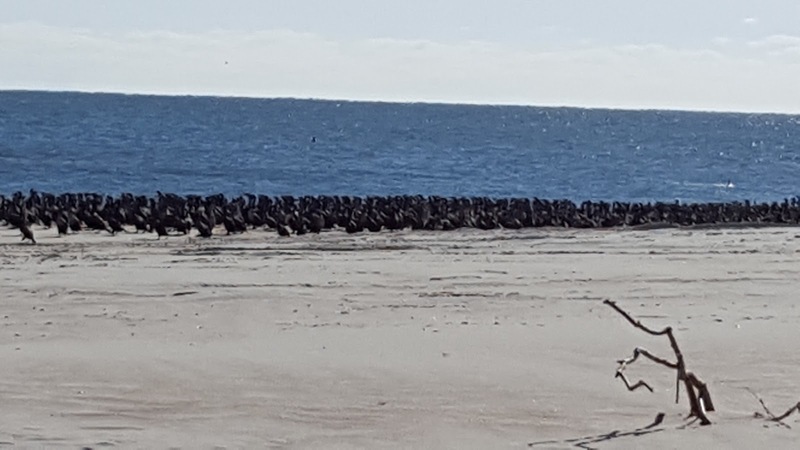 It is common to see long lines of Double-Crested Cormorants out on Pamlico Sound or over the ocean this time of year. In the early mornings or late afternoons they can be seen flying low over the water in a fluid V formation, either heading out to feed, or returning to low sandy islands for the night. 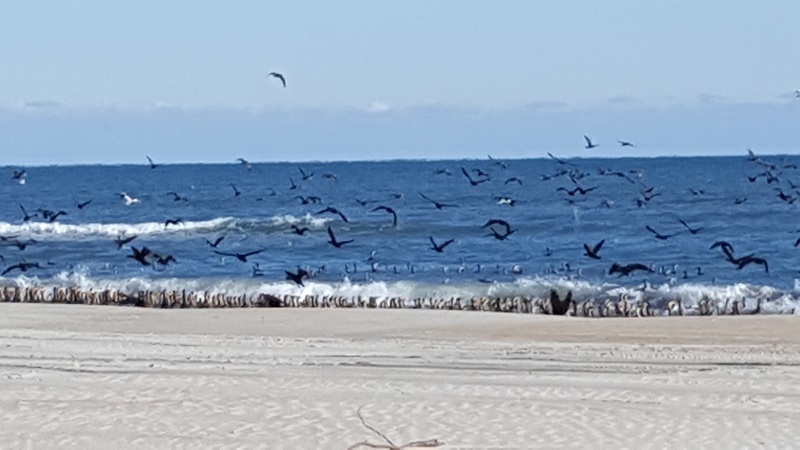 In the last few days, hundreds...no thousands...of these black birds have been congregating in large groups every few miles along the ocean beach. 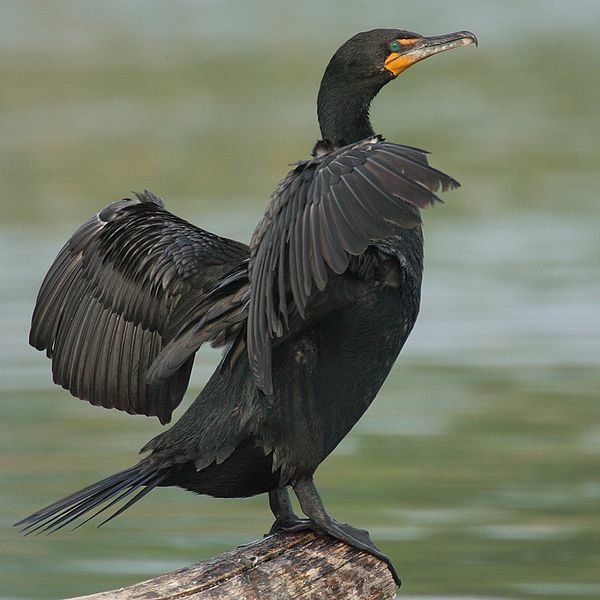 More information about the Double-Crested Cormorant is available here: https://en.wikipedia.org/wiki/Double-crested_cormorant. This month's Ocracoke Newsletter is about Gary Bragg (1881-1954), waterfowl hunting, and decoy carving. I recently obtained a few photographs of one of Ocracoke's current hunting guides, Monroe Gaskill, and thought many of our readers would like to see them. If you are interested in waterfowl hunting with Monroe, you can contact him at (252) 928-5751 or (252) 216-5284. But don't look for a web site. Monroe's expertise is duck hunting, not web design!! The weather last week was super...and provided just the right opportunity for creative play. Thatcher Mines, who is spending several months on Ocracoke this winter with his family, went to the dump and salvaged various bicycle parts and other components to adapt a skateboard and construct a "kite trike" with his children. 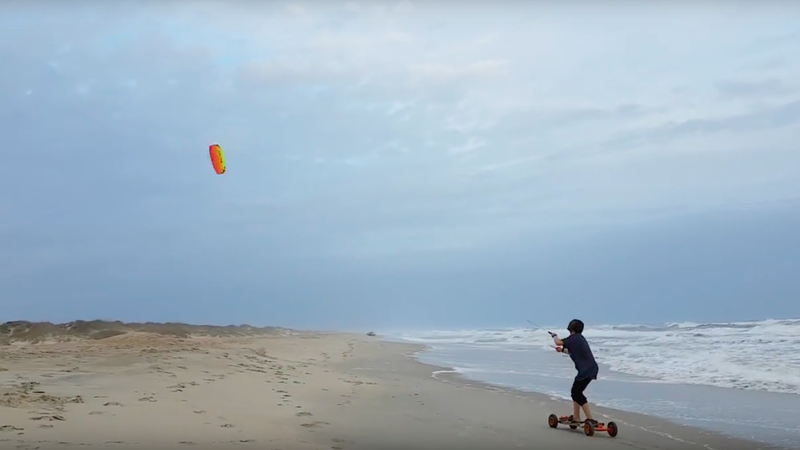 Here are several photos of them "kite-riding" down the winter beach. You can see more photos and two videos of their project here. 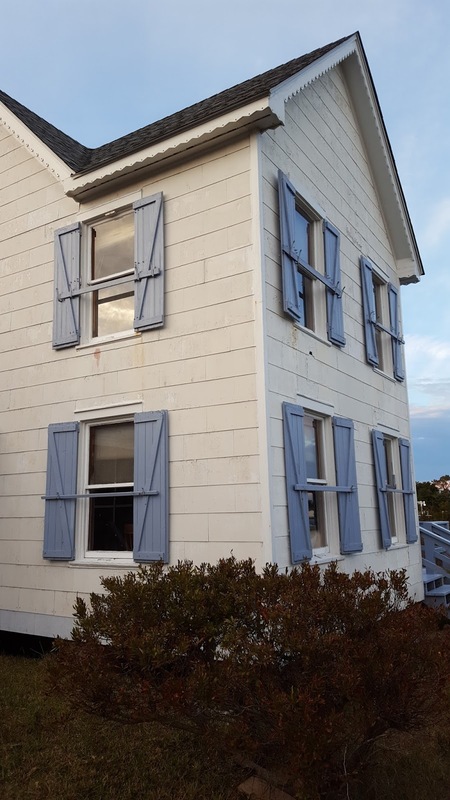 This past Saturday OPS hosted an Ocracoke Christmas House Tour. Although only two house were on the tour, both are contributing structures in the Ocracoke Historic District, and there was considerable interest in seeing the interiors. Blue Harbor, built in 1913 and renovated last year, was originally the home of Leonard and Aretta Williams. The Captain Bill Thomas & Eliza Gaskill Thomas house (more recently called the Barksdale Cottage) was built in 1899. Very little has changed in the last 117 years. 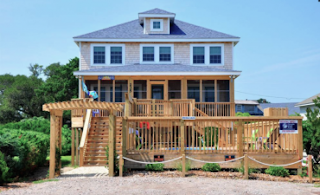 Click here for more information about the houses: http://www.ocracokecurrent.com/144329. And click here for photos of the interiors of the houses: https://www.facebook.com/pages/Village-Craftsmen/185596684826166 (Village Craftsmen's Facebook Page). Ocracoke islanders do not have home mail delivery, so we make regular trips to the Post Office. 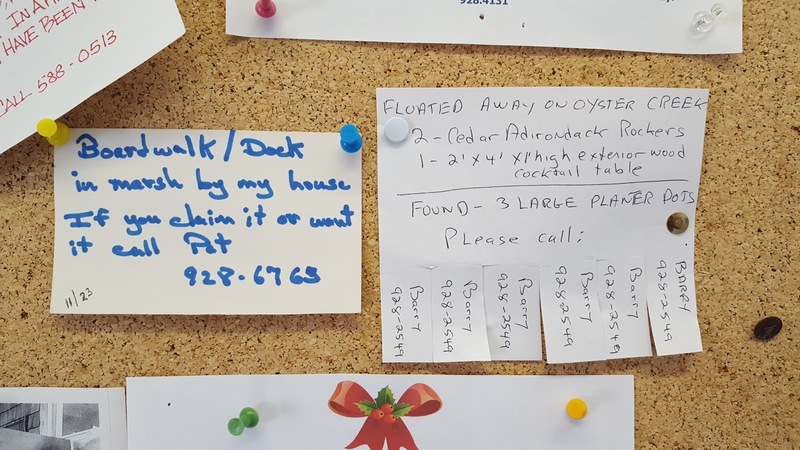 The bulletin board in the lobby always includes notices of items for sale, addresses of neighbors in the hospital, public announcements, and so forth. The other day I noticed these two cards, a consequence of Hurricane Matthew. Just another reminder of where we live. "Boardwalk/Dock in marsh by my house. If you claim it or want it call Pat." 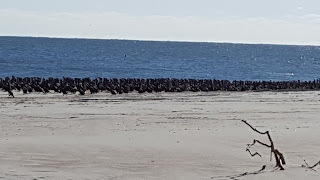 "Floated Away on Oyster Creek 2 - Cedar Adirondack Rockers 1- 2' X 4' X 1' high exterior wood cocktail table Found - 3 Large Planter Pots Please call:"
Our current Ocracoke Newsletter is a 1938 article about Capt. Gary Bragg, waterfowl hunting, and wooden decoy carving. You can read it here: ht:tp://www.villagecraftsmen.com/news112116.htm. Beginning in late November, folks out walking our beach are occasionally rewarded with whale sightings. I have talked with several people who have seen whales off shore lately. One afternoon my companions and I saw a pod of whales quite a distance away. The spray from their blowholes and their backs briefly breaking the surface were unmistakable signs of whales. But they were too far away for photos. Just this past weekend another pd of whales was sighted just south of the airstrip. This photo was taken several years ago. A right whale (I think that's what it was) was just beyond the breakers. I walked along with it for about a mile. 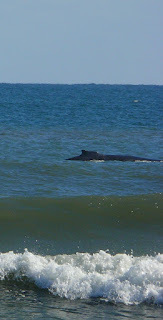 Whales were hunted along the Outer Banks many years ago. For more information click here. And, if you are walking on the beach this winter, be sure to cast your eyes out to sea. You might be one of the lucky ones who see these magnificent creatures. 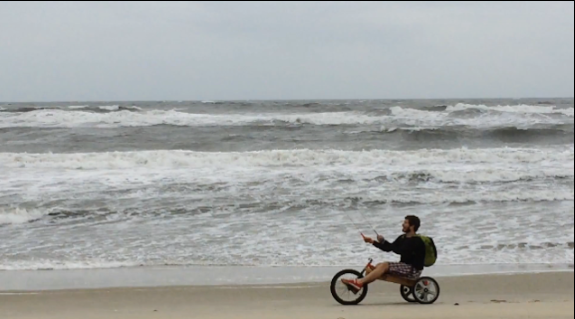 On Tuesday's blog post I included a link to my Ocracoke Newsletter about Sam Jones. In the Newsletter I mentioned the "Landlord's Invitation" which Sam had printed at the top of his stationery. An anonymous reader left this comment on my blog post: "I have been waiting for Mr. Jones' Landlord's Invitation to be discussed and explained." Maybe one of our other readers can shed light on this Invitation. If we don't get a response by later in the day I will explain it in a comment. 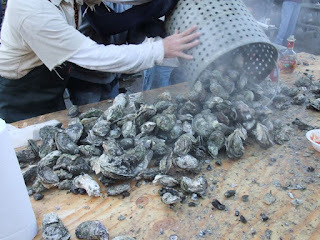 Off-season visitors to Ocracoke are often surprised at the many activities here, especially in November and December. Below are events scheduled between now and Christmas. This list does not include various music and open house events at selected island businesses. 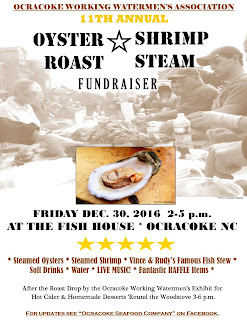 Please check the Ocracoke Current and the Ocracoke Observer for more information. 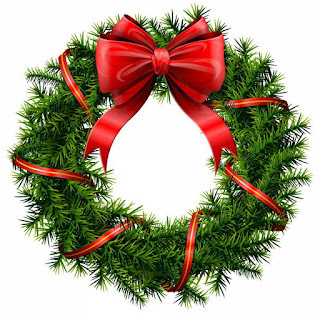 If you are on the island in December, you are invited to attend all of the events.